We’re less than a month away from the start of the 2018 World Cup. Naturally, good sportsbook bettors have already begun to size up the early tournament matchups. 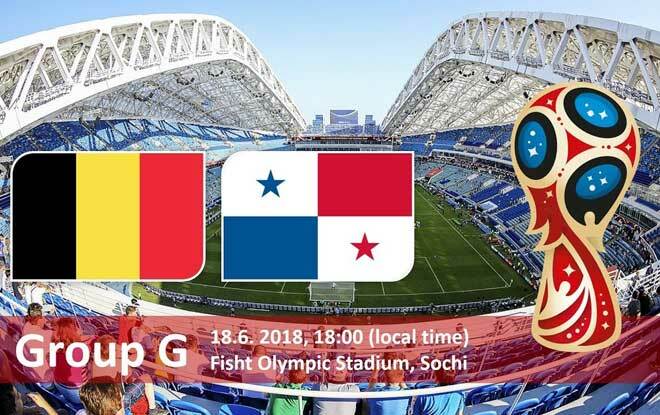 One pairing worth looking over is the contest between Belgium and Panama; two of the most recognizable countries on the world stage. Belgium has found plenty of success in the tournament before while the Panamanians will be making their first ever tournament appearance. What kind of contest will sports betting websites predict for this pairing? The Belgians enter this year’s tournament action as one of the biggest sportsbook favorites to go all the way. Moreover, Belgium’s recent track record makes it perfectly clear that this is one tough cookie to crack. In qualification, Belgium won 9 out of 10 matches and only lost point in their 1-1 draw versus Greece. On top of that, the European nation scored a whopping 43 goals in qualification, 11 of which came at the hands of Man U’s Romelu Lukaku. As aforementioned, this is Panama’s first appearance at the World Cup. Unsurprisingly, the Panamanians don’t’ come in with a whole lot of eye-catching talent, despite winning the 2009 Copa Centro America. With just 9 goals scored in qualifying, it’s safe to say that the rest of the group isn’t exactly sweating Panama’s presence. Unsurprisingly, Panama is being pegged as a massive betting underdog against the favorites that is Belgium. The above previewed odds come courtesy of Intertops sportsbook, definitely one of the best sports betting websites to check out when betting on the 2018 World Cup. Not only do they have some of the bet odds on the market, they have sportsbook betting tips and bonuses to help you take your action to the next level. With an easy to use interface and fast checkout options, they are well committed to helping you put more money in your pockets. Feel free to check out our online sports betting review on Intertops to get a closer look at what they offer. Likewise, you can hop on their site to begin your sign up process today! Best US Online Sportsbook Prediction: 2-0 Belgium. Belgium kick off their World Cup action on a high note by picking off their Central American opponent. The TOTAL will be under and Belgium will cover the spread. Best Gambling Bets Online to Make: There’s not much value in taking Belgium straight up. A small bet on Panama isn’t a terrible idea, considering how lopsided the odds are. Taking Belgium to cover the 2-goal spread is your best option for this one.